Dr. Shannon Mihalko is an Associate Professor in the HES Department and teaches Health Psychology to both undergraduate and graduate students, as well as Health Statistics to undergraduate majors. She received her undergraduate degree from Wake Forest University and her MS and PhD degrees from the University of Illinois at Champaign-Urbana. Dr. Mihalko holds a joint appointment in the Department of Social Sciences and Health Policy within the Division of Public Health Sciences at Wake Forest University School of Medicine. Dr. Mihalko is involved in a number of clinical trials examining both social cognitive and behavioral determinants and consequences of behavior change and adherence. Specifically, Dr. Mihalko is the principle investigator on two independent projects examining the influence of participation in a physical activity intervention on both physical and psychological function among women recently diagnosed with breast cancer. She is an investigator on several DOD and NIH-funded RCTs examining exercise and psychological health in older adults with chronic diseases, including acute leukemia, diabetes, cancer, and knee osteoarthritis. 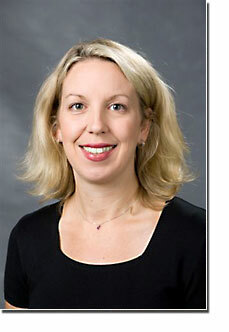 Dr. Mihalko also works in the assisted living setting to promote active living and quality of life among older adults.